The Adventures of Punk and Rock take a seminal step up in this latest issue of the fledgling independent comic from Hamblin Comics. Back for another round of crazy, spaced out fun, we see the creators show more artistic flair this time. Issue 3 gives readers three different stories, with a mix of the stalwart creative team on each tale. A notable standout is the first story of this issue, "The Trip" by Scott Twells. This is a silent story with no dialogue and only the visual imagery to tell readers what is happening. It is great to see Twells take this road and stretch his artistic muscles in such a fashion. We also get a more details in the art and nearly full color on the pages to bring out the stories psychedelic side. The narrative itself is straight forward, which is a positive, considering the decision to not use dialogue. 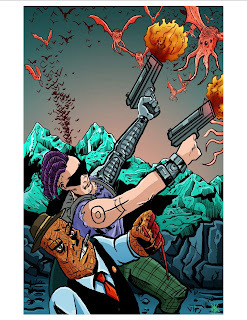 The main Punk must navigate a drug induced fantasy, while Rock keeps him out of trouble. The second story, "The Perfect Bride", sees Austin Hamblin back in on story details and a return to dialogue. The artist changes to Dario Reyes and with this, a very different artistic feel is appropriated on the pages. The layout is smooth and the penciling and inking much more distinct, bold and assertive. However, the character of Rock certainly feels like a more uncouth, foul-mouthed version of Marvel's The Thing here. The full color images are crisply produced—a differential in terms of quality from the previous issues. 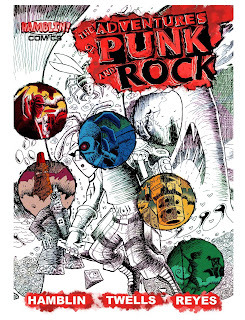 The final story, "Punk Rock Zombie", has Hamblin and Twells on board and feels much more aligned to the previous issues from The Adventures of Punk and Rock. This is also in full color, by Aaron Moore and the panel layout is more conductive to better storytelling techniques. Punk and Rock come back for another round. Overall, this comic takes another good artistic step forward; although the story, dialogue and content seems to be in a stuck in a quagmire of juvenile topics. It would be good to see this become more accessible to a wider audience to make good use of the overall comic medium, which is going through radical distribution, content and audience changes lately. For any creators trying to get work out there, the need to tell stories that are balanced can help them progress. 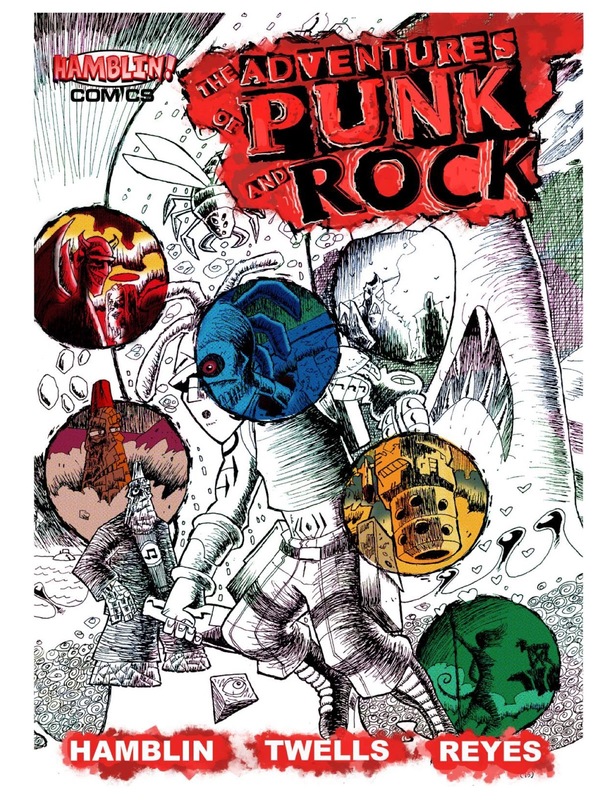 However, based on the current content of The Adventures of Punk and Rock, such work will struggle to find an wide audience. Well, there we are Fan-people, make sure you continue to keep an eye out for further work from Hamblin Comics on their website. Check them out and let me know what you think by leaving a comment below or head on over to the Fanboys Anonymous Facebook or Twitter to make your mark, and keep on coming back to Fanboys for more comic reviews and news.